This hemp necklace was made with alternating square and spiral knots. At about 5 inches in I started adding the main beads so the center bead would be at 7.5 inches. There are plastic and wooden beads with the glass pendant in the center. 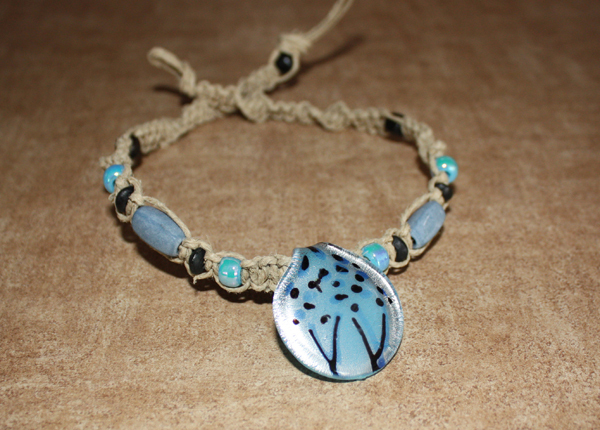 The hemp necklace uses regular thickness for the hemp.